Children and Youth International is a charitable arm supporting education, training and fundraising activities of the UNMGCY to enable young people from all backgrounds to play a role in the UN. We are legally registered body which acts on behalf of the Major Group on Children and Youth. It is youth-led, completely volunteer-based organization. It was formally called Rio+twenties but changed it’s name in 2014 to reflect the wider role in Sustainable Development post-Rio. We act as the Finance Committee to the UN Major Group Children and Youth. Its works for the public benefit by the advancement Sustainable Development, of education, advancement of citizenship. It will do this through fundraising, capacity building and empowerment of young people so that they can participate in negotiations related to Sustainable Development in particular but not exclusively for process relating to the outcomes of Rio+20, the High Level Political Forum, the Millennium Development Goals and their successors, Disaster Risk Reduction, Small Island Developing States, Consumption and Production Patterns and other negations from time to time that the board believe is relevant. To achieve these goals, the non-profit can execute at any time all activities that contribute directly or indirectly to the achievement of the purpose of the non- profit. This includes ancillary commercial and profitable businesses within the boundaries of what is legal and of which the proceeding will be fully geared towards achieving the purpose of the non-profit. The board is elected and are the Trustees of the registered organisation, they represent the diversity of the MGCY, from each of the topic areas we cover and are elected annually before the HLPF. Observer members come from each of the elected Organising Partner Organisations. It worked to provide a platform for active youth participation in the UN Conference for Sustainable Development (aka Rio + 20). After Rio+20. we work to hold governments accountable for what commitments were made and work with young people to build capacity to ensure that the key agreements at Rio+20 actually happen. Great projects and initiatives exist: our goal is to join forces and make it more accessible. We strive to create a space where young people can impact our own future. The United Nations Conference on Sustainable Development (UNCSD/Rio+20) taking place in Brazil on 20-22 June 2012 should find political solutions to some of the environmental, social and economic problems our world faces today. But, it is not going to magically make things better: talks have been going on for years and haven’t resulted in concrete results so far. One of the objectives of the conference is renewed political commitment for sustainable development. But political promises and pledges are not enough: there is a need for a more effective system. The public needs to get involved and remind politicians what is important and what can be done. Solutions exist. Asking your opinion: Youth action at this summit should be based on the opinions of as many youth possible globally. Therefore, Children and Youth International’ questionnaire aimed to collect ideas on how this should be done, creating direction and streamline our collective efforts. You can find the results of our survey here. Supporting your participation: Efficiently getting involved at international level can be a daunting task. The Children and Youth International-team developed a participation guide to make the whole process understandable. The guide offers specific information for youth, identifies ways to make a real difference and shares best practices on youth activism. It is available in 5 languages Download it here! 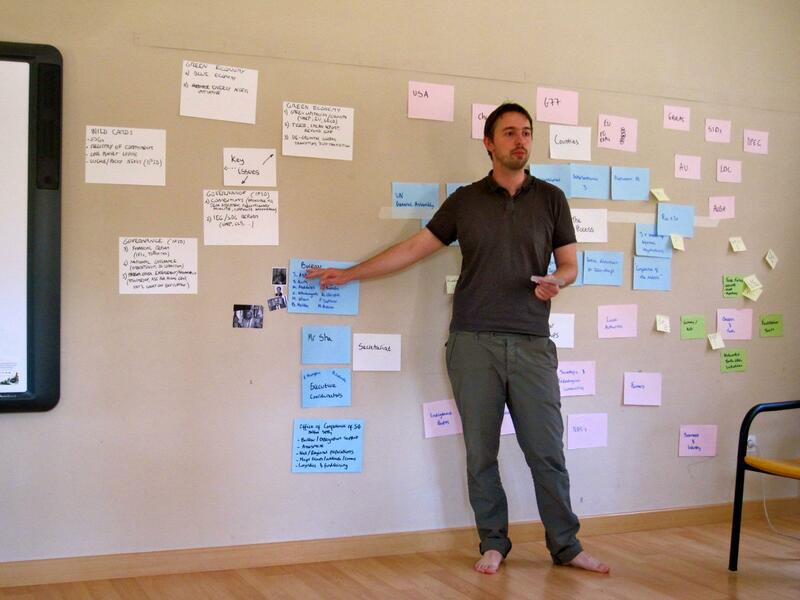 Building capacity: Rio+twenties held a series of consultative weekends, gathering active youth from all over the world to brainstorm, develop strategy and implement ideas that led to the above actions. We have been co-organizing meetings such as the European Youth Meeting for Sustainable Development (July 2011 – Tallinn, Estonia), the CSD-19 Side Event on Youth Participation (May 2011 – New York, USA), the International Youth Strategy Meeting for Rio+20 (September 2011 – Mollina, Spain), the Masterclass for Sustainable Development (April 2012 – Brussels, Belgium), the Preparatory meeting for European Youth Representatives attending Rio+20 (May 2012 – Bonn, Germany), and the Youth Blast (June 2012 – Rio, Brazil). We also produced a short animation-video to explain what Rio+20 is all about and what it means for youth (participation). Watch it here! 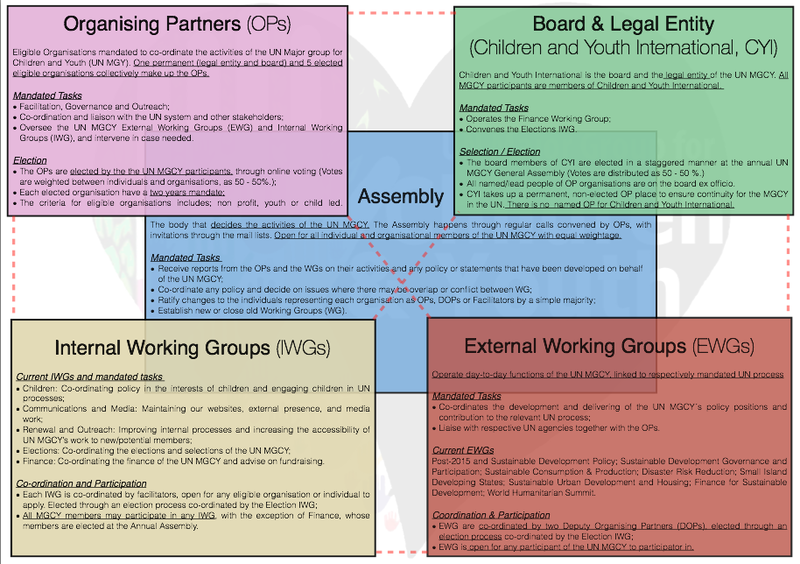 Coordinating the MGCY: Since its creation, Children and Youth International has been ensuring the role of Organising Partner for the Major Group of Children and Youth (MGCY) for Rio+20. The Children and Youth International boardmembers also play an active role in the day-to-day organization of the MGCY, facilitating different Policy Task Forces and taking active part in the discussions.